Unique shape, simple style and easy toinstall. These holders can stick to any flatsurface where you have the need to store your mobile phones, cigarettes,wallet, sunglasses and just about anything. 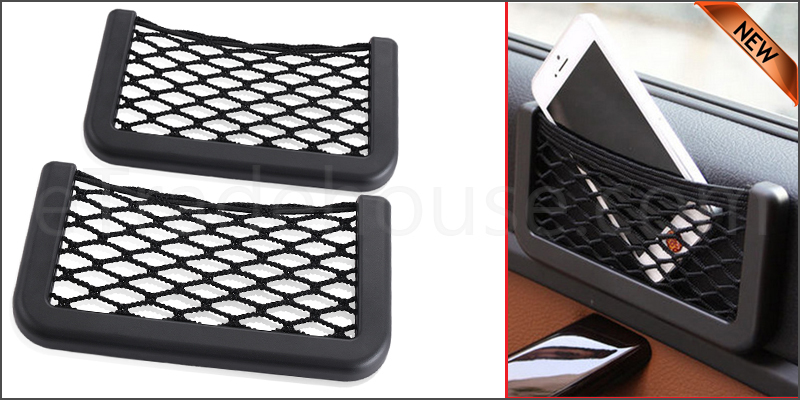 Suitable for cell phone, small debrissuch as cigarette packets, cards, tickets, and other small items to make yourcar neater.